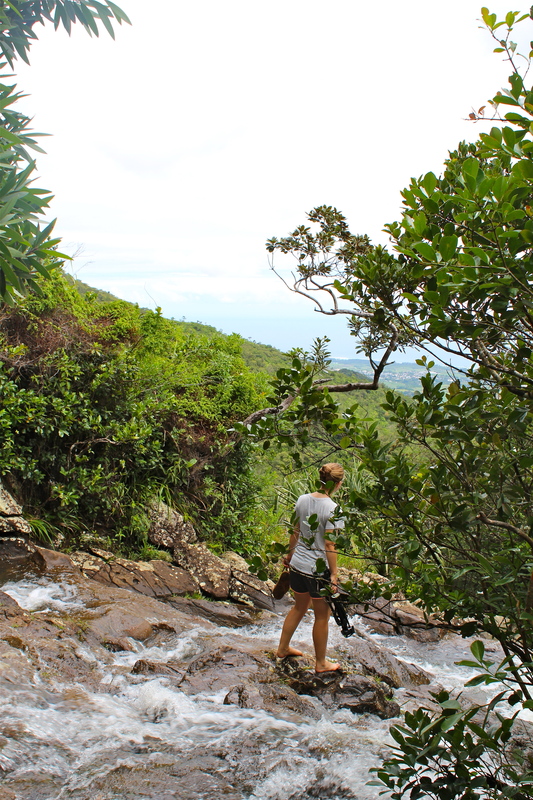 Inland Mauritius, with it’s picture book mountains, tumble of vegetation, and misty waterfalls, is often overlooked and under appreciated. And I totally get why. It’s so easy to spend your days sipping a fresh coconut in the shallows of a turquoise lagoon, swimming amongst a labyrinth of colourful reef, and burrowing your toes in the warm sand.And we all know that being near the ocean is a total time-vortex. One minute you have the whole day before you with ambitious plans to fill it with activities. The next minute you’re waking up bleary-eyed with a patchy sunburn and salty skin. And then, before you know it, it’s time to leave. You might even glance out of your airport-bound taxi and see the mysterious road leading up into the hills. A tear rolls down your cheek (woah, things just got really dramatic). 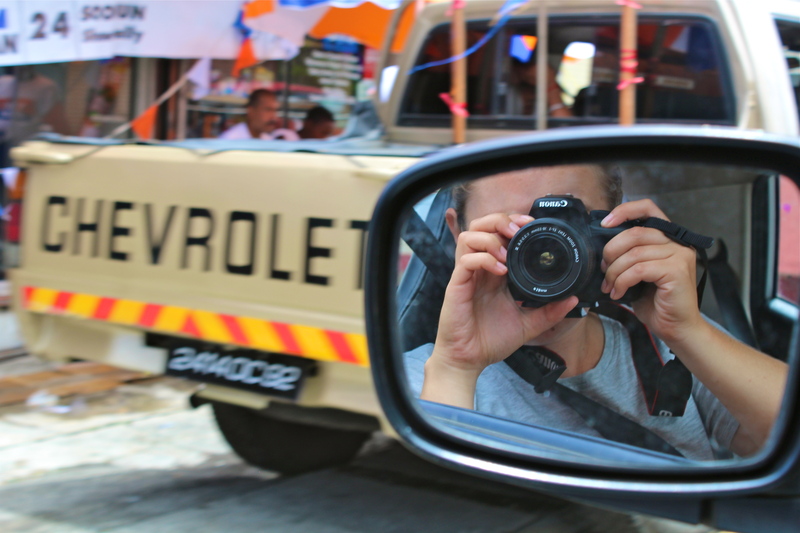 In all seriousness, the inland of Mauritius offers some beautiful sights and experiences.Here are some reasons why you should break through island-induced drowsiness and head inland to explore. 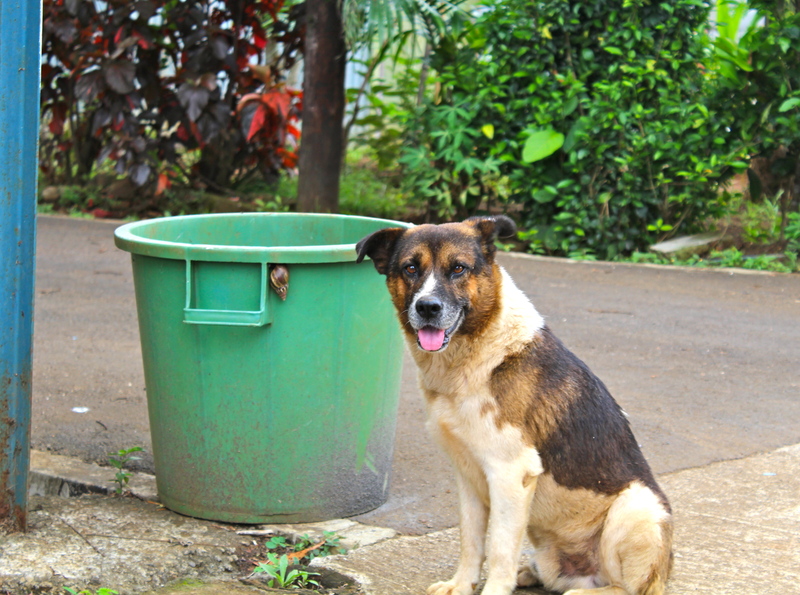 At the end of the article you will also find some suggested routes, tips, and money saving advice. 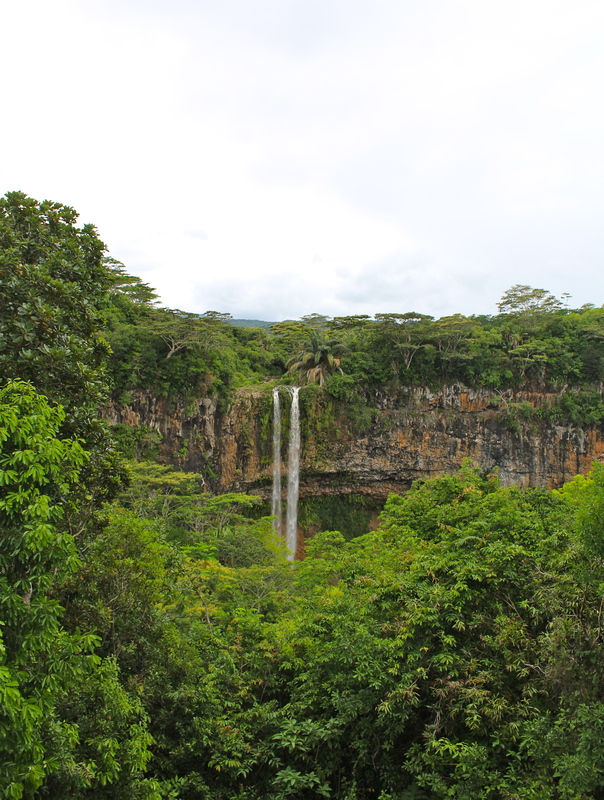 The Black River Gorges National park is Mauritius’s largest national park and was set up to protect the last remaining endemic forest. 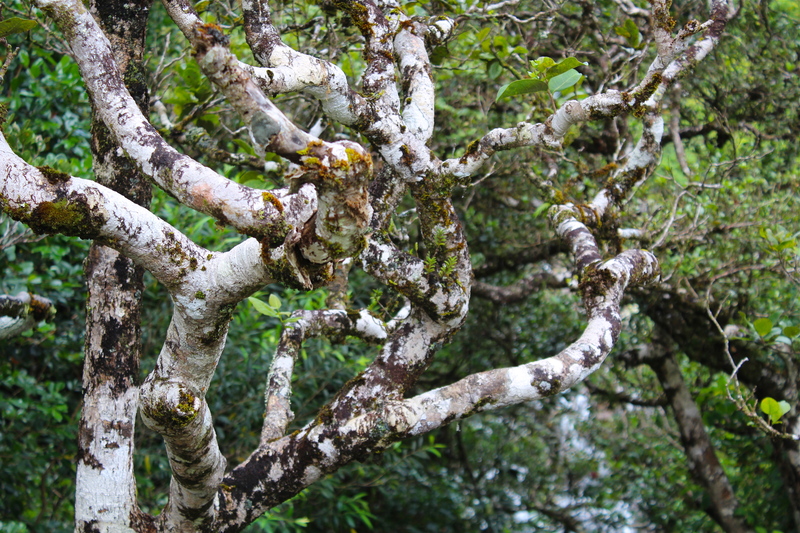 Although it’s a little overrun with introduced plants (I’m looking at you Chinese guava- you delicious fiend), it is still a beautiful and jungly part of Mauritius. 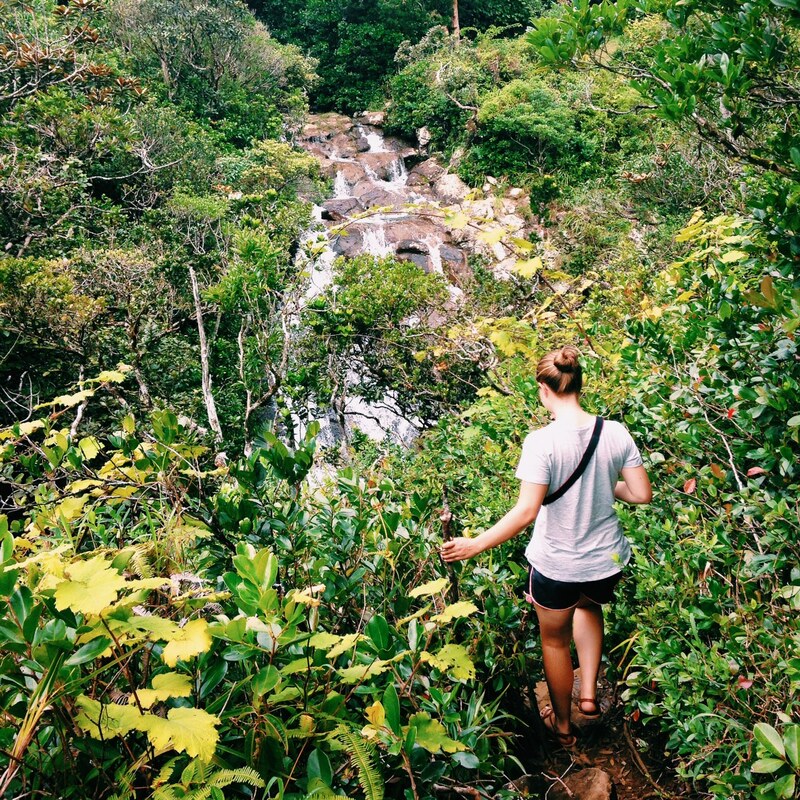 There are over 60 km of trails to hike and explore, multiple waterfalls, and if the beach-induced laziness has too strong a grip, there are many beautiful picnic spots as well. You can tackle the park from the east or west as there are information centres at each side. Although probably not worth stopping at, by taking a little detour just before the western entrance to the Black River Gorges National park you can wave hello to a 33m statue of Lord Shiva. 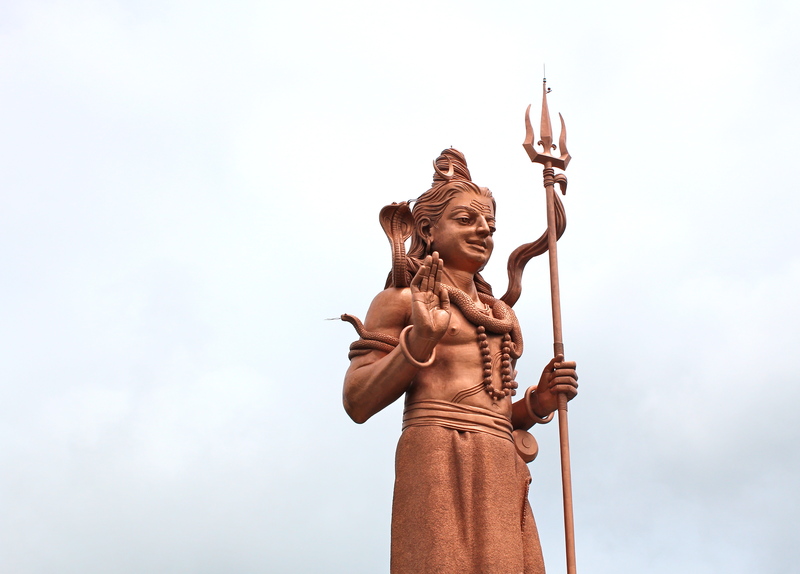 As Mauritius’s highest statue, Lord Shiva who is a hindu god, stands impressively tall and can purportedly be seen from every corner of the island. 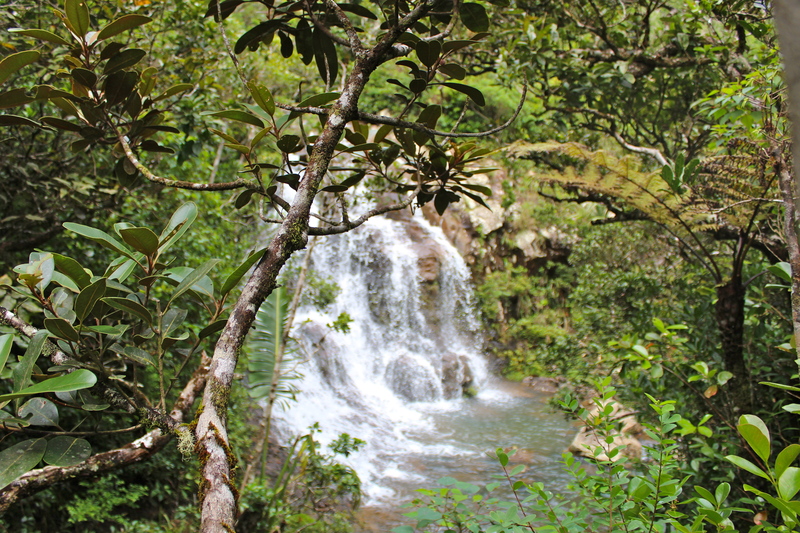 Although Alexandra falls is less impressive than the Chameral Falls, this little waterfall/viewpoint offers views stretching all the way down to the sea. Feel free to meander off the track at this stop with bonus points for finding the top of the falls (dip your toes in the running water!). 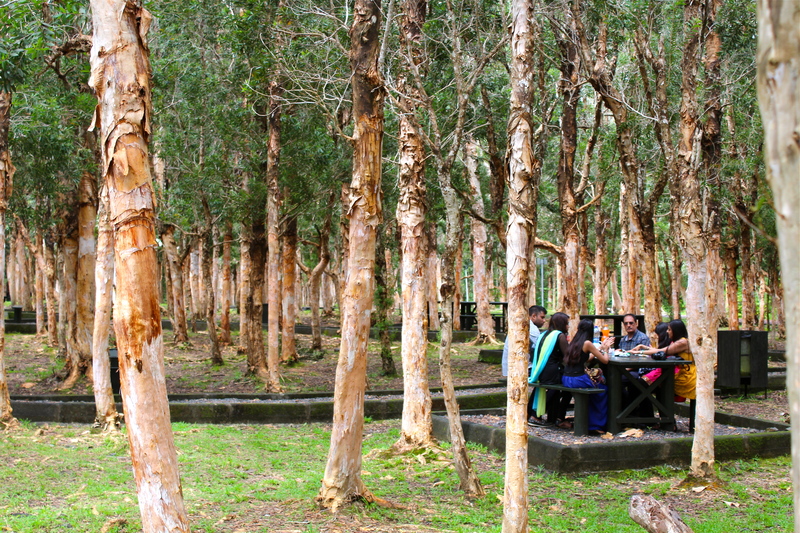 After exploring, Alexandra falls also has many picnic tables situated amongst the paper trees. Bring a baguette, some cheese, and maybe even a bottle of South African wine from the supermarket (there is nowhere to buy food up this way- come prepared). I think my favourite thing about this spot is the tree-lined road leading up to it. 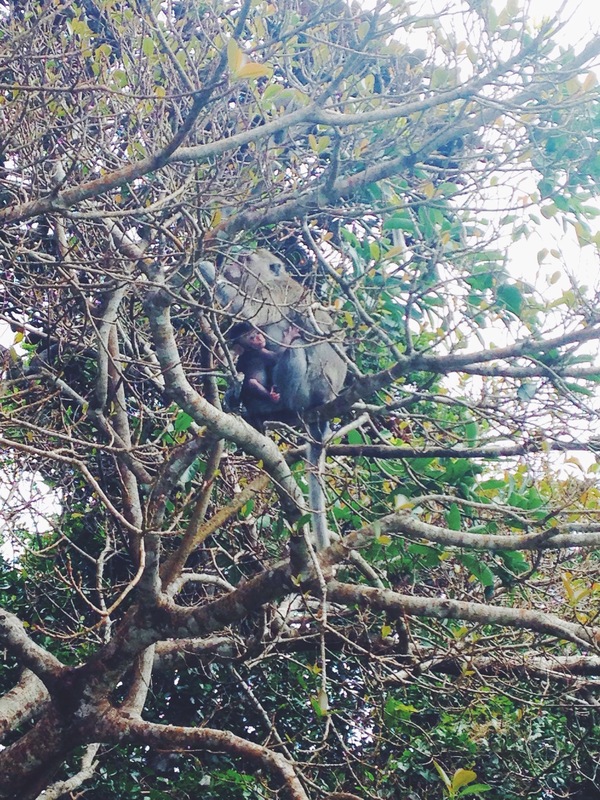 Just up from Alexandra falls is a very popular viewpoint which is home to some cheeky monkeys. The viewpoint itself is stunning with a sweeping view of the gorges and a couple of smalls waterfalls. The monkeys however steal the show with their aggressive antics; Don’t get close to them because they will attack you.This stop also has a number of small shops where you can buy souvenirs. I would probably avoid buying anything here but if you do then bargain hard. 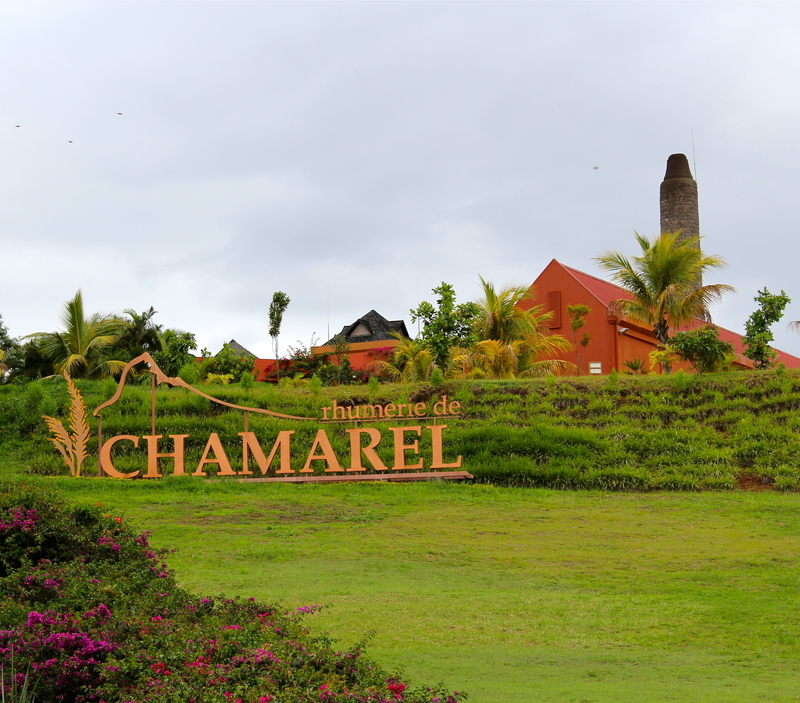 I have never had the pleasure of rum tasting at Chamerel’s own rum distillery because every time I happen to be in the area this establishment is closed. The distillery offers guided tours and rum tastings and also has a fine dining restaurant. If the closed gates and manicured grounds are anything to go by, this would be a well-deserved stop on your inland exploration. 6. See how pineapples grow! 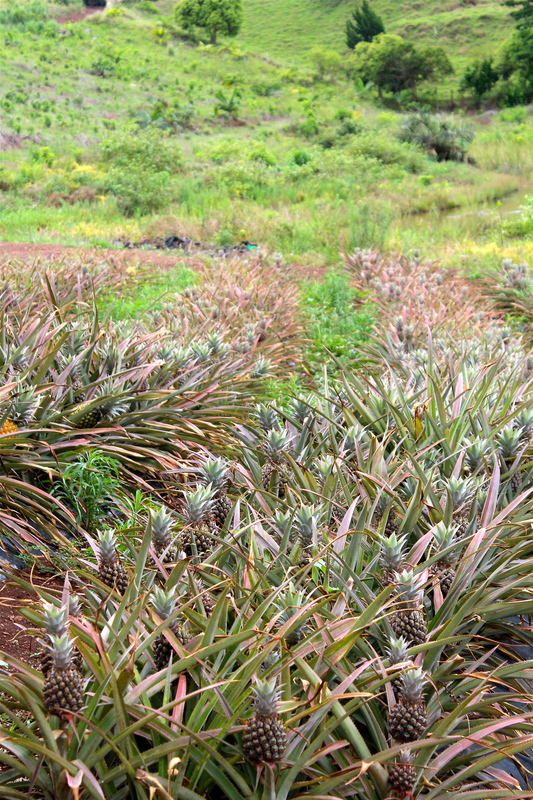 Right next to the rum factory is a small pineapple farm. 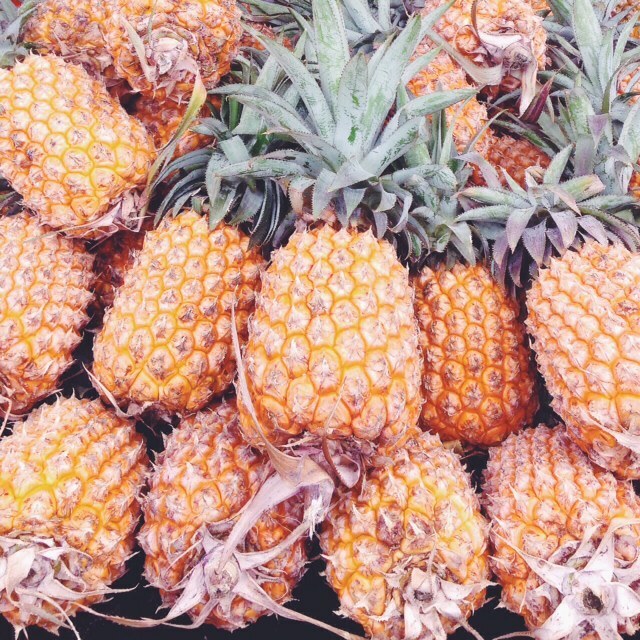 As somebody who has never seen how pineapples grow, the little spiky rows of pineapples fascinated me. Also, there is something so cute about baby pineapples! 7. Be underwhelmed at the coloured sands. Let’s be honest here guys. As someone who has seen the Grand Canyon in the last three months, the coloured sands of Chamarel are about as impressive as a kid’s sandbox (although the most recent Tripadvisor review claims it as “breathtaking..a wonder”). 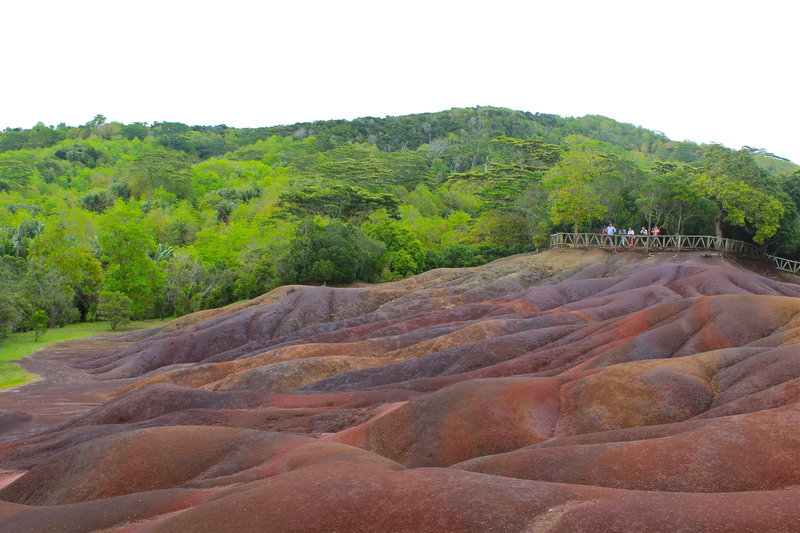 The site consists of a small amount of coloured earth ringed by a wooden fence. At 200 rupees each, it has money-making scheme written all over it but if you must see it then stop by the pretty waterfall on your way. 8. Spot the house of peace and love. Who doesn’t love a chilled out, dreadlocked Rastafarian. 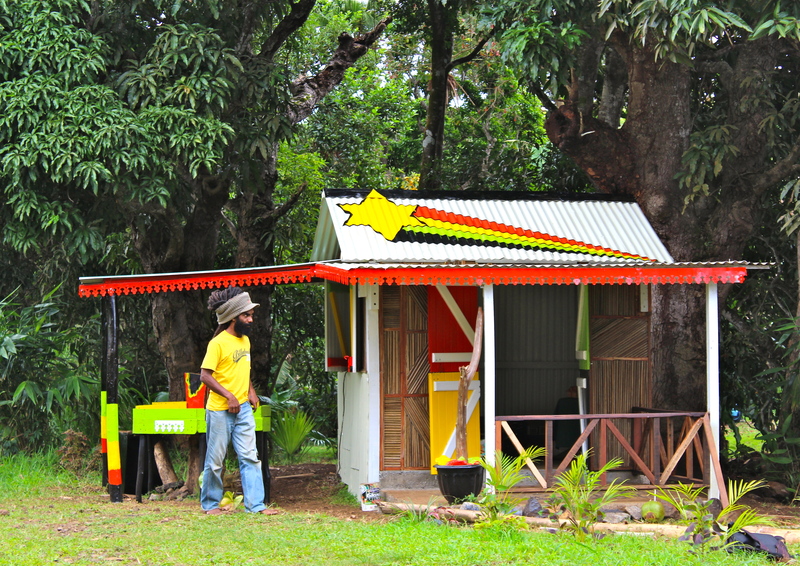 Just past the coloured sands, we came across a couple of smiling rastas constructing this little red, yellow, and green hangout. Because it wasn’t finished yet, I don’t exactly know the purpose of this quaint little house but I do know that when it opens, no doubt Bob Marley will be played on repeat. If your inland adventure happens to coincide with winter then join the hordes of locals rummaging around in the vegetation for chinese guavas. These small yellow and red fruits are an introduced species so you’re doing the island a favour by leaving with armfuls. If guava picking isn’t your style, you will see them for purchase all over the island served with a shake of salt and a pinch of piment (chilli!). My suggested route is to head inland to Curepipe and start at the western Black River Gorges information centre. This route will have you heading towards the ocean where you can end the day with a dip in the sea. 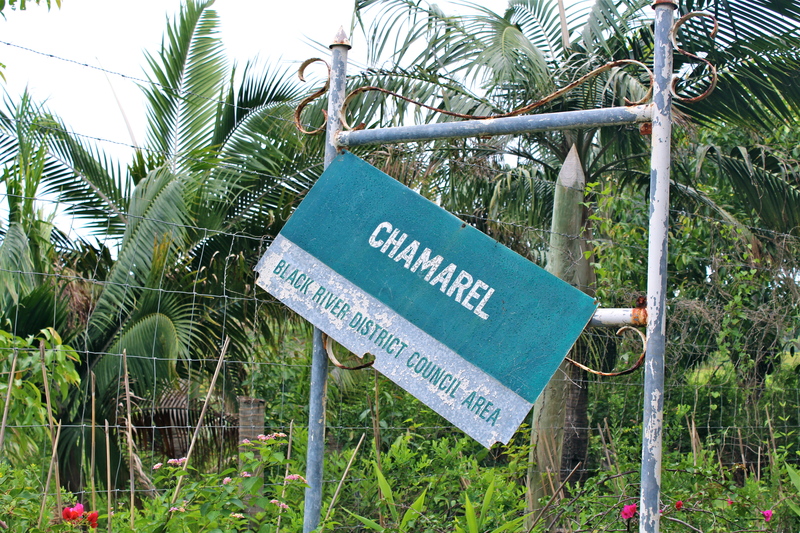 You can also do this route backwards from Chameral to Curepipe starting in Tamarin and heading inland. 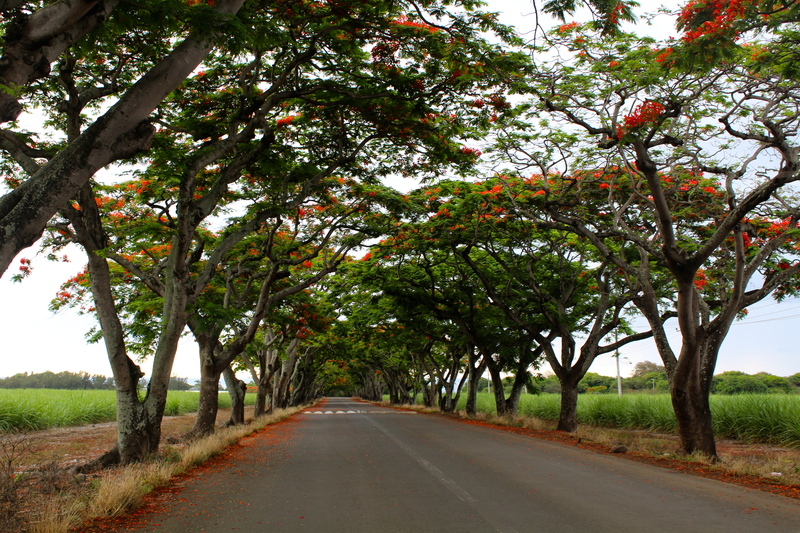 There are many places in Mauritius to rent a car. Ask at your hotel concierge or make a local call to 152 and ask for rental agencies in the area. For rentals not associated with the hotel, expect to pay 900-1500 rupees. Expect to pay more when hiring from the hotel. Alternatively you can take organised taxi or bus tours. These are more expensive but might be more convenient. If you are really brave then scooter hire is around 500 rupees- Expect to get wet in the rainy inland! This route takes the better part of the day. More if you decide to spend time picnicking or rum tasting. Happy inland Adventuring! Have you been to Mauritius? Did you head inland? Let me know in the comments below or email me direct at dirtypawsblog@gmail.com. Previous Post Welcome to Mauritius! I wouldn’t doubt for a second going inland! YES to the rhumerie and waterfalls! And I have not yet tried guava with piment.